What Sets Covington Oaks Apart? Covington Oaks was constructed in phases, beginning in 2005, with the luxury apartments community being built out in 2009. A group of local owners approached the project and its implementation with tender loving care—taking pride in ensuring that the final product was the best designed, maintained and located luxury apartment complex in Bowling Green. Of paramount importance was attention to every detail, including not only saving, but also centrally featuring the two historic oaks in the complex. Be assured, that the owners are committed to providing continued oversight and local management for a very long time in the future! Our community, nestled in an established residential setting, offers style, convenience, and an uncompromising lifestyle. Covington Oaks is within walking distance to the Bowling Green Athletic Club [BAC], banks, Covington Woods Park Golf Course, shopping and grocery stores. 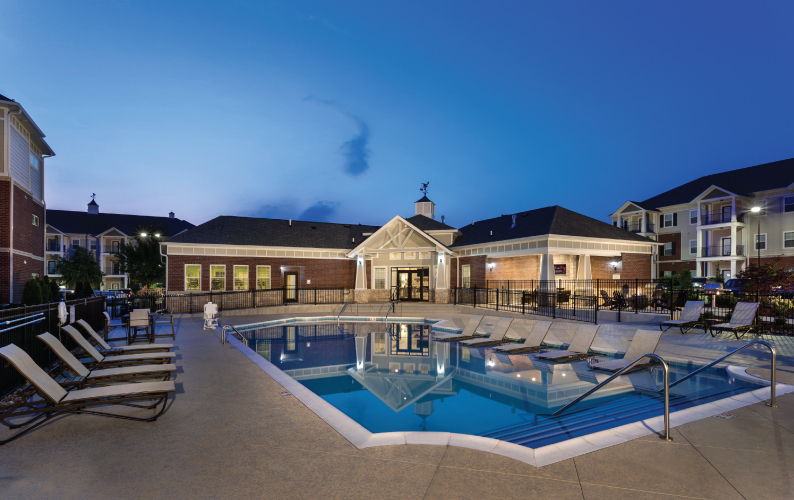 Covington Oaks is the only luxury apartment community within two miles of Western Kentucky University and downtown Bowling Green. Covington Oaks Apartments features all the amenities you would expect from a high-end residence. View the virtual tours below or schedule a visit to see for yourself. great location + fantastic amenities! 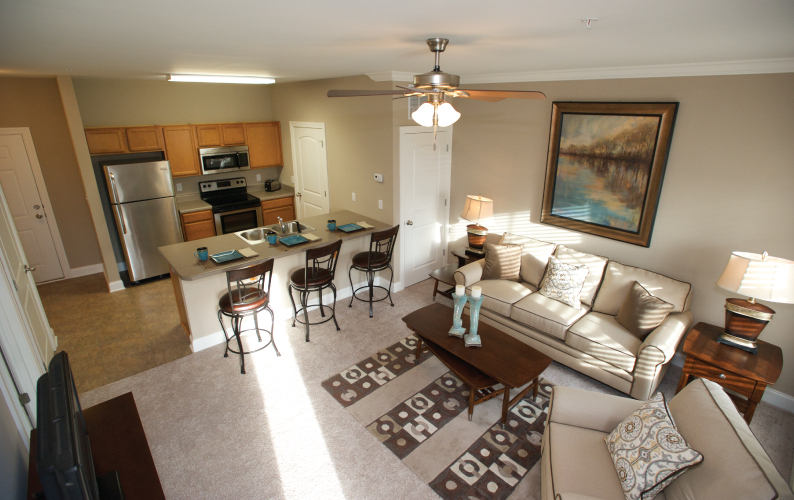 Covington Oaks luxury apartments have easy access to I-65, downtown Bowling Green, restaurants, shopping and WKU. A complete listing of the Olde Town luxury apartments and community amenities are listed below. View aerial tour of Covington Oaks’ prime location. Covington Oaks video flyover 2016 from 3girls design on Vimeo. Up to 2 pets permitted. Some restrictions apply. Non-aggressive animals only. Dogs over 35 lbs must be on a ground floor. Please call for specific details regarding deposit, fees and additional details. Our sister property, Mount Victor Olde Towne, is a luxury community situated just minutes from downtown! Olde Towne is near the heart of Bowling Green, Interstate 65, and Western Kentucky University. A pet-friendly community—Olde Towne is the only complex in the area with a five-acre green space for your pet to enjoy. Come visit Olde Towne today and see how you can have it all! Not only are Covington Oaks apartment homes situated within an established neighborhood, the park-like setting features mature landscaping and majestic oaks. The interiors have been tastefully designed to provide a flexible neutral palette to pair with your style and home furnishings. View the photo gallery to see the architectural details and executive-styling for yourself. APRIL ONLY: Get half off your first full month of rent! Call office for details and availability!